Our weekly insights for advisors: Articles authored by our team designed to broaden your perspective and arm you with knowledge—because knowledge is power. By Barbara Herman – It’s human nature to want to protect the status quo— familiarity is reassuring. Comfort level aside, quality advisors still periodically reevaluate where they are. And those who believe they can do substantially better for their clients and teams opt to move elsewhere. 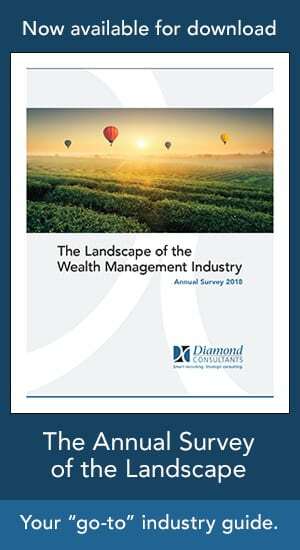 By Mindy Diamond – It’s undeniable that continuing changes in the wirehouse world have left many advisors feeling frustrated and limited in their ability to best serve their clients and grow their businesses. For top advisors who have an ultra-affluent client base, this pain often comes attached to a false belief that the only way to support the unique needs of high net worth and ultra-high net worth clients is to stay in the ecosystem of the big brokerage firms. By Allison Brunwasser – An advisor’s choice to go independent is typically driven by a strong desire for greater freedom, flexibility and ownership. Yet with that desire comes what is for many the biggest hurdle in making the leap: Choosing between building your own firm with complete control and 100% equity, or joining an established firm with turnkey operations, infrastructure and an opportunity to gain an equity stake in a more mature business. April 2, 2019 – By Mindy Diamond – I just returned from an amazing trip to Southeast Asia with my husband Howard and two very good friends of ours. But, admittedly, we embarked upon the journey with some trepidation. 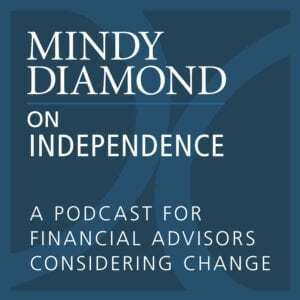 March 19, 2019 – By Mindy Diamond – In a landscape with more opportunity than ever before, some advisors still find themselves chasing a perfect option that doesn’t exist. Here’s how to escape that trap. By Deborah Aronson – While some may argue that the importance of culture is overrated, it’s hard to deny its significance when it comes to attracting, developing and retaining talent. Culture embodies the ideology of a firm—it’s the organizational glue that binds together leadership and employees. It can also make some companies fantastic places to work at while others, unfortunately, toxic. By Mindy Diamond – While you don’t need to have Jeff Bezos’ or Mark Zuckerberg’s level of entrepreneurial spirit, there are some key characteristics that most successful independent firm owners possess. The reality is that many independent firm owners will tell you that they weren’t compelled to leave their brokerage firm by some burning desire to be entrepreneurs. By Wendy Leung – It’s interesting how some of the most basic principles of business planning often end up at the bottom of so many advisors’ lists. No doubt, the hectic day-to-day schedule of working on “Plan A” can make it difficult to carve out the time to even consider an alternate plan for the future—that is, a “Plan B”. By Mindy Diamond – The prodigious momentum towards independence has created a whole new generation of entrepreneurs who are attracted to more than just the freedom and flexibility of the space. They’re eschewing short-term payouts of brokerage recruitment deals for the long-term potential of building an enterprise with maximum value that will be appealing to buyers in the future.